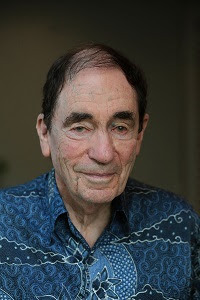 Among the six legends presented with Lifetime Achievement Awards at the 19th Arts & Culture Trust (ACT) Awards was constitutional and creative crusader, Albie Sachs, who was honoured for his commitment to democracy, arts and culture in the country, often under exceptionally trying circumstances. The cornerstone of the ACT Awards ceremony, which was held at Sun International’s The Maslow Hotel in Johannesburg in October, is the prestigious Lifetime Achievement Awards. Lifetime Achievement Award winners are nominated and selected by the current and previous ACT Trustees, and are always individuals that the sponsors are proud to acknowledge for their contribution to the arts. An iconic custodian of human rights in South Africa, Sachs was instrumental in projects such as the Freedom Charter in Kliptown, and was later a chief architect of the constitution. As a defendant of all people, Sachs was continuously raided, restricted and restrained by the Apartheid government. After being held in solitary confinement for 168 days Sachs eventually went into exile in 1966, spending several years teaching and researching abroad. In 1988, a car bomb placed by South African security agents severed Sachs’ arm and destroyed his sight in one eye. In 1990, Sachs return to South Africa and played an active role in the negotiations which led to South Africa becoming a constitutional democracy. After the first democratic election in 1994, he was appointed by then President Nelson Mandela to serve on the newly established Constitutional Court. Sachs has continued to champion the arts and was involved with the development of the Constitutional Court building and its art collection. He personally collected and approached South African artists to contribute to the collection, stretching a paltry R10,000 budget into a multimillion rand collection, donating many of the pieces himself. “Arts and culture represent the deepest aspects of ourselves, our dreams and doubts, our jolts and jubilations; all that is exasperating and elevating,” Sachs says. Winner of the Tang Prize in Rule of Law in 2014, Sachs is currently using a portion of the award to tell the story of the making of South Africa’s democratic constitution. Sachs is also one of only two people to win the Alan Paton Award twice. A documentary about his life, Soft Vengeance: Albie Sachs and the New South Africa, by Abby Ginzberg, was released last year, and he is using this documentary in anti-bullying and anti-retaliation programmes, while also using his passion for creativity to inspire troubled youths. His advice to the country’s young activists? “Don’t listen to the advice of older people like me, be as daring and aspirational and challenging as we were. And we achieved the impossible…,” he says.